NEW PRICE!! Recent updates to this extremely well-maintained home in an unbeatable location! Updated kitchen w/ luxurious custom recycled glass countertops from Italy, all new slate appliances, new lighting and paint throughout the home! Hardwood floors on main. 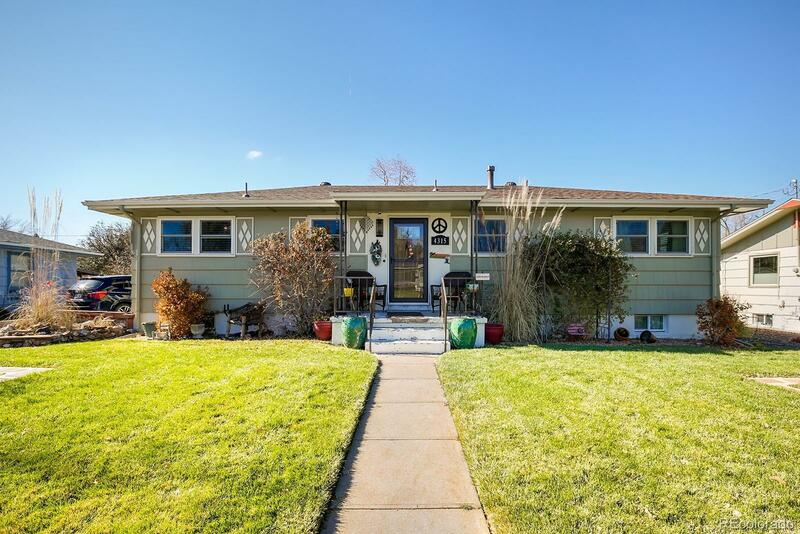 Basement completely updated for Mother-in-law suite or recreation room, Egress window in bedroom, bonus room, 3/4 bath, new carpet & new wide plank flooring. Laundry room comes w/ a wall of storage! New storm doors & front door. Private seasonal covered porch w/ French door access. 2 outdoor patios w/ hot tub and beautiful grape vines in Summer. Fenced garden area. Immaculate lawn! Huge 2 car garage plus addl driveway parking. Friendly neighbors, block parties. Superb location - private quaint neighborhood walking distance to light rail, rec center, and River Point Shopping Center w/ Costco, Target, Restaurants, movie theater. Easy access DTC, downtown Denver & downtown Englewood! View is Jason Park, Rotolo Park around corner!